Remember Jon Cole? He is still at it! At one time there was a controversy of whether Paul Anderson or Jon Cole was the strongest man in the world. The idea of them competing was even flirted with. The contest would be the three powerlifts and the two Olympic lifts. This led to much controversy with everyone throwing their hat in the ring. 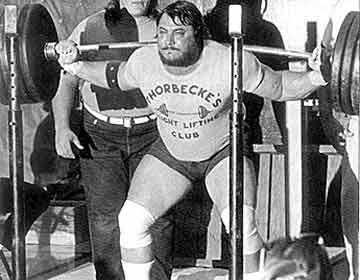 Even Norbert Schemansky was unimpressed with Cole’s Olympic ability, and he even called Powerlifts, “half lifts”.